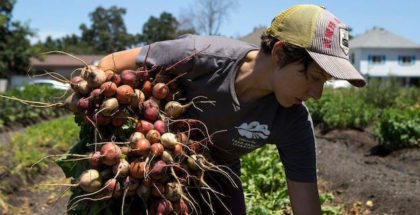 Dave Victor, after five years honing his growing skills with Garden City Harvest, became the manager of Orchard Gardens Neighborhood Farm just last year and he couldn’t be happier with his new position. 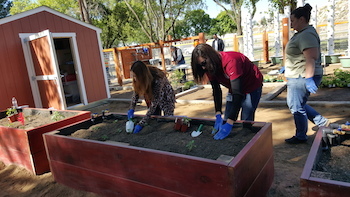 The City of Perris’s Green City Farm. Photo courtesy of the City of Perris. 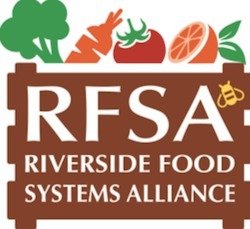 Community-based agriculture is increasing across the Inland Empire(IE) as more community gardens and the programs related to them are being established. 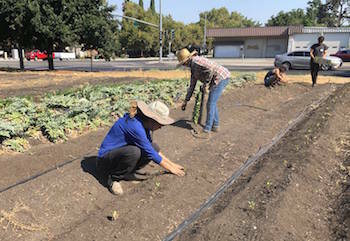 As outlined below, these efforts include many new farm plots where residents are growing their own food, learning new skills and gaining food system awareness. 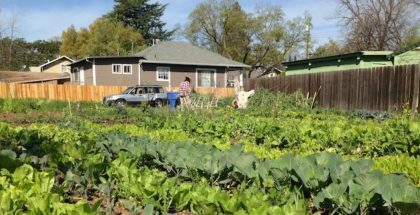 But the people establishing these gardens are going further than just turning bare dirt into growing grounds. 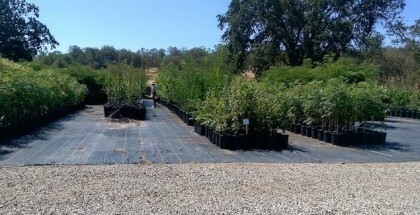 They are implementing ancillary programs as well, thereby adding even greater value to their communities. 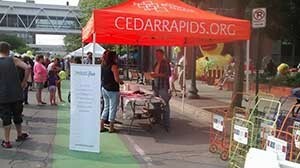 Each of these various enterprises benefits their local cities and neighborhoods by increasing access to healthy and fresh foods, as well as providing employment, educational opportunities and a greater sense of community to everyone involved in their construction, day-to-day upkeep and expansion. (Orange County, CA) – Grow Local OC: The Future of Urban Food Systems, slated for Thursday and Friday, November 10-11, 2016, will explore innovative urban food system developments underway in Orange County and cities across the country that increase the supply of locally grown food in the marketplace, tackle food poverty and access challenges, improve health outcomes, and support entrepreneurship in urban and indoor farming. ProduceRun stand. Photo courtesy of ProduceRun. William Pattison, co-founder and president of ProduceRun, a web-based service that allows farmers to “pre-sell” goods to local consumers via a crowdfunding-like platform, is no stranger to farming. His family has worked the land for four generations. The ability to adapt is a necessary skill for survival in many arenas, especially in farming. 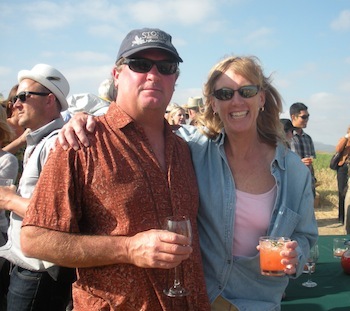 David and Tina Barnes of Crows Pass Farm in Temecula, California know this truth from their own experience. The farm was founded by the Barneses in 1991 and until recently produced a wide variety of crops including lemons, tangerines, oranges, strawberries, spinach and more. 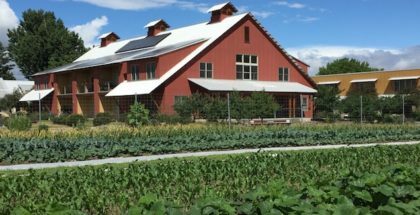 To insure the economic sustainability of their farm, the Barneses initially employed a direct-to-restaurant business model and as recently as 2010, this approach led to success. At that time they were selling food directly to 45 eateries and business was booming.